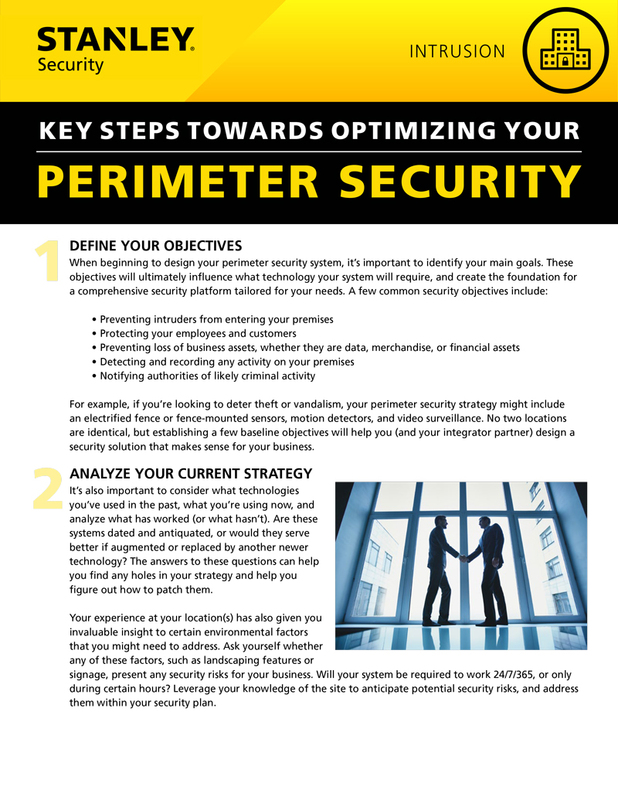 When it comes to Perimeter Security, your strategy should hinge upon a layered approach. However, with so many different types of technology and every location offering different environmental factors to consider, choosing the right security systems for your needs can be a daunting task. To help you make sense of the litany of options available, this guide provides a framework to help you take the right steps towards selecting the right security systems for your needs.